Updated: 3:45 p.m. | Posted: 9:15 a.m.
Amazon considered 238 proposals from cities and states hoping to attract the multi-billion-dollar project which could eventually will create 50,000 jobs. 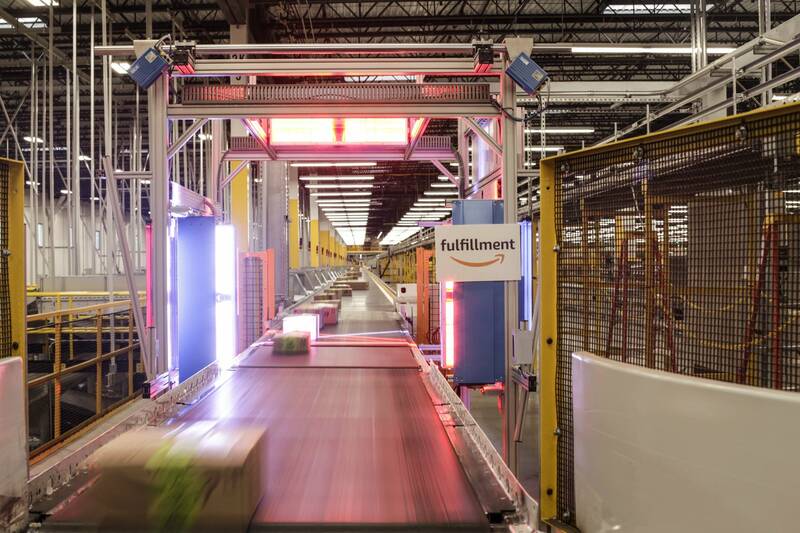 Minnesota did not make the top 20 list released Thursday by the online retail giant. Despite the results, Minnesota Department of Employment and Economic Development Commissioner Shawntera Hardy said she believes the state made a strong bid to Amazon. Hardy's agency worked with the nonprofit Twin Cities economic development agency Greater MSP on the proposal. The pitch highlighted the region's workforce and educational offerings. Unlike some other regions that offered billions of dollars in incentives, Minnesota offered existing state incentive programs totaling $3 million to $5 million and the suggestion that additional help could come from the Legislature. But most details of Minnesota's bid, including potential sites for the project and local financial incentives, were never made public. Hardy said there still are no plans right now to release the bid. "It was a private competition, and that's the approach that we took," Hardy said. Hardy's department contends that the proposal belongs to Greater MSP, not the state. A spokesperson for Greater MSP also said there are no plans to release it. He said some information could be used in future business expansion efforts. A government transparency advocate said that arrangement is troubling. Matt Ehling, director of the nonprofit Public Record Media, said open data laws apply to private entities when they contract with the state. But in this case, Ehling says, the state agency insists the relationship is informal. "What Greater MSP and DEED are trying to do is essentially say 'we don't have a contract, so the law doesn't apply to us.' We think that's problematic," he said. Republican Senate Majority Leader Paul Gazelka said he wasn't privy to the specifics of the proposal and finds the lack of disclosure "irritating." But Gazelka sees a bigger problem. He blamed the state's tax and regulatory climate for the failure to lure Amazon. "It's one of those opportunities where we get to compare ourselves against all the other states. The fact that we didn't make the top 20 is why I said it's a wakeup call. Because it clearly shows when you stack everything up together, is Minnesota competing? The answer is in this case is obviously no," he said. Another key lawmaker was also reflecting on the state's failed bid. But Rep. Pat Garofalo, R-Farmington, the chair of the House jobs and energy committee, said the blame lies with Amazon, not Minnesota. "We can always do better. We can always improve our status," he said. "But on this one, the folks at Amazon seem generally clueless when it comes to the sites that they've put on their top 20 list. I wouldn't put a lot of stock in them ignoring Minnesota."